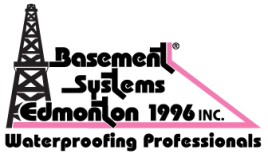 At Basement Systems Edmonton, it's our job to make sure that your musty crawlspace is transformed into a cleaner, drier, healthier, and more energy-efficient space. Our crawl space encapsulation services are available in St. Albert, Sherwood Park, Grande Prairie and nearby. For a free crawl space repair quote, call or e-mail us today! Our vapor barrier system is even more effective when combined with our crawl space insulation and drainage matting. Install Airtight Vent Covers: Sealing your vents stops the cycle of cold, humidity, and moisture entering from the outside air. However, water can still enter your crawlspace in many ways. Encapsulate & Insulate The Crawl Space: To stop moisture from passing through your floors and porous concrete walls, a crawl space vapor barrier should be installed. A durable liner will allow for servicemen to use the space without damage while transforming your crawl space into usable storage space. This is also the best time to install crawl space insulation on your walls or floors. For a free, no-obligation crawl space repair quote, contact us by phone or e-mail today! We work throughout Greater Edmonton, including Grande Prairie, St. Albert, Sherwood Park, Spruce Grove, Grande Prairie, Leduc, Camrose, Lloydminster, Wetaskiwin, Fort Saskatchewan and surrounding areas.